British comedian Peter Serafinowicz reimagines Donald J. Trump as a London “geezer“, though the words remain the same. Frighteningly, the cockney accent suits the would-be White House godfather. So I run up to those ISIS guys, and they’re like Muslim guys, like guys who look like Obama, and I, like, shout “Bang, bang!”. And you gotta believe, they’re dead, they’re so dead, like no terrorists have been dead before. 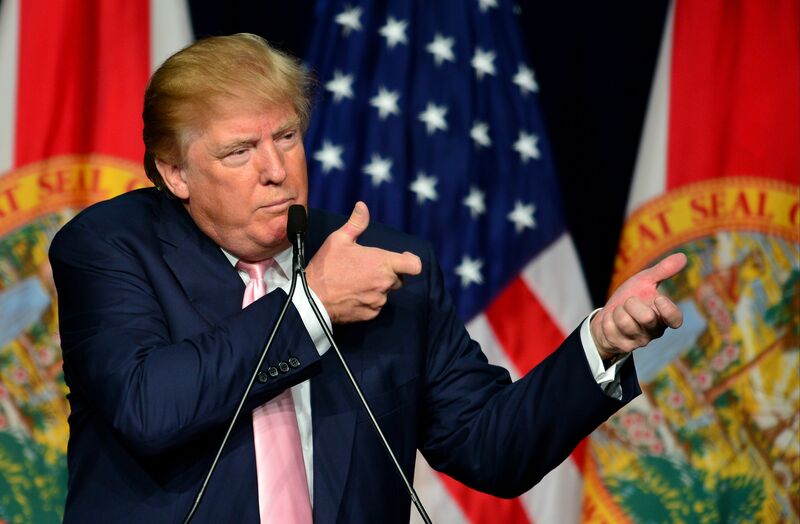 And America, I saved it, I saved you, just like this, like with this big beautiful “Bang!”. Because I promise America the best bangs the world has ever seen. I’m bringing the bangs, I’m bringing all the bangs. And – ooooooooh – they are so gonna be sorry when I go “Bang, bang!”. Michael Caine for president. I know I should be crying, but I can’t stop laughing. We’re doomed.